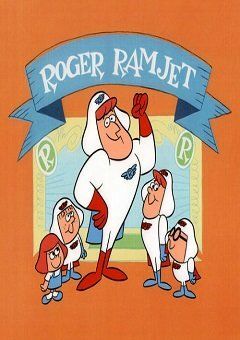 Bumbling daredevil and American Eagle Squadron leader Roger Ramjet, aided by his crew of do-gooders Yank, Doodle, Dan, and Dee, fight crooks like Noodles Romanoff and Henry Cabbage Patch. Roger’s advantage is his Proton Energy pill, which gives him the strength of twenty atom bombs for a period of twenty seconds. Roger Ramjet Season 4 Episode 26 How’s Your Pass?